The apartments are on an island in a bend of the La Siagne river, within walking distance of the sea, in Mandelieu Cannes. Built in a southern architecture style that blends in harmoniously with the natural setting, the residence includes many sports and leisure facilities (swimming pool, children’s pool, tennis courts, sports field, children’s play area) and is near essential shops and supermarkets. 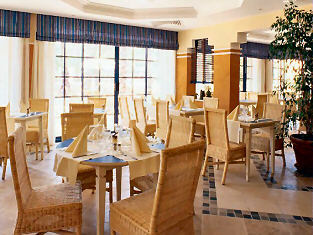 There is also a bar restaurant with an air-conditioned dining room and outside terrace. Cannes is the jewel of the Riviera, noted for its lovely old quarter and marina. La Croisette is the famous promenade lined by palm trees and gardens, bordered by a series of fine sandy beaches, behind which are some of the most luxurious shops and art galleries to be found anywhere. Mandelieu has one of the best Golf Clubs in France. Nice airport is 20 minutes away, Marseille International is 90 minutes. All the apartments have a living room with a fully equipped kitchenette (hob, fridge, oven, dishwasher, coffee machine), a bathroom with washbasin and bath, a separate wc , telephone, television and a balcony with outside furniture. 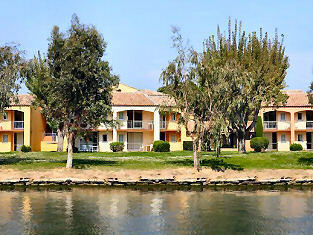 Some apartments have a river view. The 1 bedroom apartments have a double bedroom, 2 single sofa beds in the living room and an extra single pull-out bed or bunk beds if needed, sleeping 2 to 5/6 people. 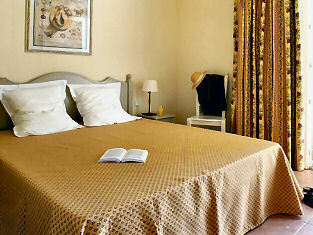 The 2 bedroom apartments have a double room, a twin room and a living room with 2 single beds, sleeping up to 6 people. The restaurant and bar, Le Riviera, is in a warm, quiet setting on the ground floor and has menus with Provençal specialities, seafood, theme buffets and delicious desserts, served in an air-conditioned dining room or outside on the terrace under the palm trees. In July and August, the Rives Café is open on the terrace beside the river and also does take away pizzas. 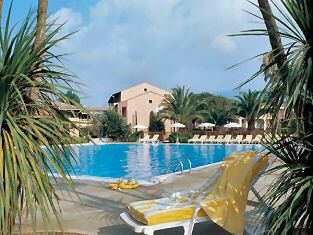 The pool is huge with a depth of 0.80 m to 2 m and there is a children's paddling pool and sunbathing terrace. The beach is an easy 10 minutes walk or there is a frequent shuttle bus service. There are three tennis courts, table tennis, a petanque area, a games room, a children’s playground with a slide, Wendy house, swings and roundabout and a multisports field (volleyball, basketball, football). Private parking. La Croisette and the beach is at the centre of life in Cannes. 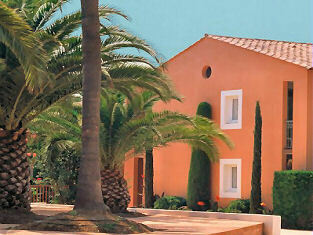 Old Cannes, known as Le Suquet, lies on the slopes of the hill and is full of charm. Look out for the Church of Notre Dame d’Espérance and the Castre Museum (former Château de Cannes) which has major archaeological and ethnographical collections. Beneath the old town is the fishing port with rows of fishing boats and luxury yachts moored tightly together. The "California Quarter" is made up of splendid villas lying in magnificent, lush gardens and is where the Bellini Chapel is. Just outside Cannes is Le Cannet and its exotic gardens and La Croix des Gardes and its sumptuous villas. Mandelieu has one of the best Golf Clubs in France and some of the most famous restaurants. Note: Prices can vary depending on the time of year.